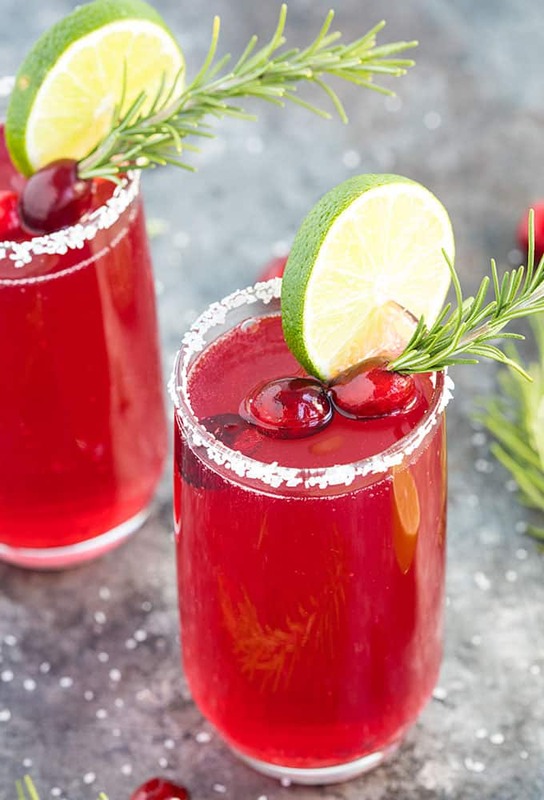 I’ve got the best of both worlds comin’ atcha right here when it comes to holiday cocktails… Cranberry Mimosa Margaritas! Yesssss! 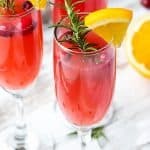 This was a concoction that came together from my previous Tequila Sunrise Mimosas along with my Cranberry Mimosas. The result??? OUTSTANDING! 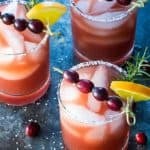 If you’re a lover of mimosas and margaritas, but just want something with a little extra “kick” this holiday season, I highly recommend this cocktail. I would have never thought in a million years that tequila and champagne would have combined so well… but it really does. Just trust me on this one. 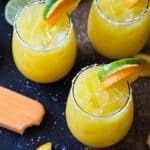 Love mimosas? 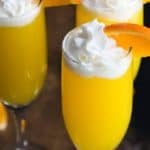 Check out all of my mimosa recipes. Cheers! 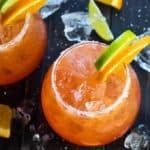 Rub lime wedge around 2 champagne flutes. Dip in kosher salt to coat. Set aside. 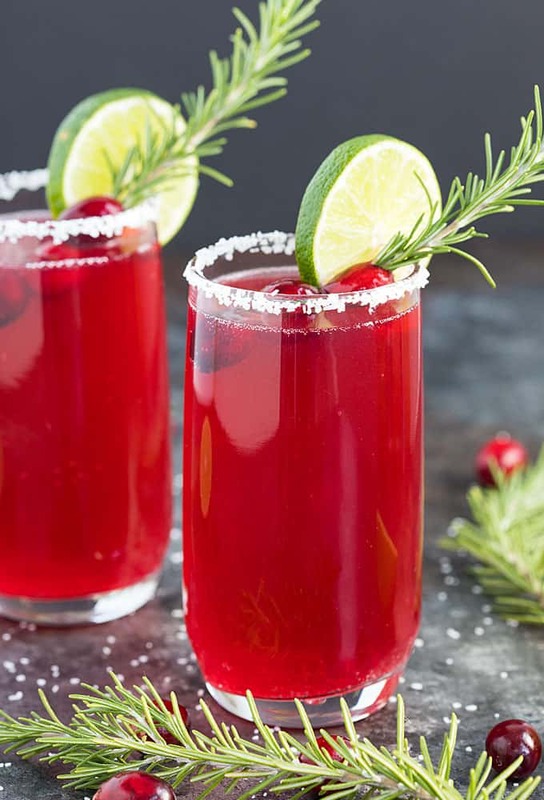 In a small pitcher, combine cranberry juice, tequila, triple sec and lime juice. Stir to combine. Pour equally into rimmed champagne flutes. Top with your desired amount of champagne. 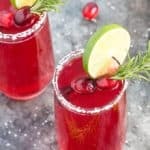 Garnish with rosemary sprigs, fresh cranberries and lime wedges, if desired.